Hygge (pronounced hue-ga) is a Danish word that is central to Danish culture but can be experienced by people all over the world. While the word has no real English equivalent, it can be likened to a sense of homeliness, comfort, every day pleasures and security, and is a contributing factor to Denmark’s title as one of the happiest nations in the world. 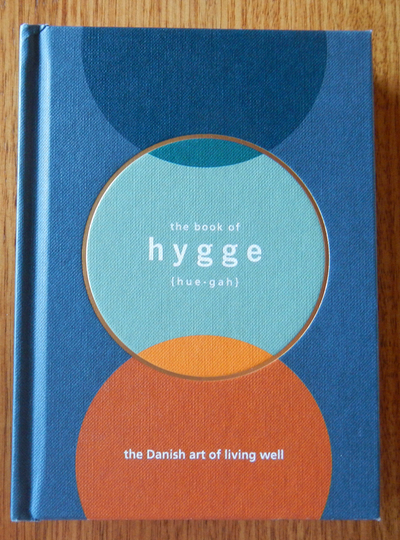 Definitely the prettiest of the four, this book is full of all things hygge. Written by the CEO of The Happiness Research Institute, Copenhagen- a think-tank that researches the best ways to experience well-being, happiness and a good quality of life- this book guides readers in the best ways to seek hygge in their day-to-day lives. 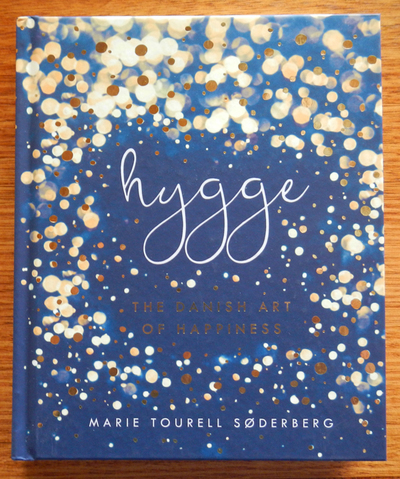 It contains statistics and facts relating to hygge and happiness, and makes comparisons between the Danes and other nationalities (aiming to determine exactly why the Danes are often considered the happiest people in the world). This book also provides recipes for hyggelig foods, offers the best sources of lighting, clothing and activities to lead a hyggelig life and, of course, features plenty of arty photographs depicting hygge moments. This book embodies the style of hygge, featuring homestyle images of warming fireplaces and candles, outdoor scenes, worn fabrics in artfully designed arrangements and displays of nature such as nests and pebbles. These pictures are interspersed throughout the text, which is (admittedly) quite repetitive when describing some of the aspects that can be found in living a life filled with hygge. 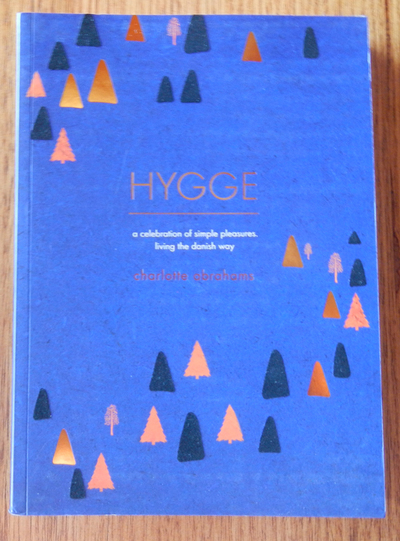 This book is separated into six defining categories- belonging, shelter, comfort, wellbeing, simplicity and observance- and also provides a definition, bibliography (for further reading into the subject), quotes by influential people (mostly Danish) who practice the art of hygge, and a handy orange ribbon bookmark to keep tabs on where you are up to. Unlike the previous two books which solely feature photographs and suggestions of ways to live a life of hygge, this book is an account taken of one woman’s journey to embrace the lifestyle. British writer Charlotte Abrahams came across the Danish term and, with her interest piqued, decided to try and embrace the cultural phenomenon and adapt it to her own life. She has separated her book into three sections: Hygge by Design, Hygge Living and Hygge for the Soul, and provides plenty of well-researched information on each. She then gives an account of how she integrated the phenomenon into her own life and gives suggestions on how her readers can do the same. Coming from a non-Danish perspective, this book is both a unique and interesting exploration of hygge. Working as an actress, the author of this book knows how difficult it can sometimes be to take time for yourself and create hygge moments. In this book, she focuses on the moments, experiences and things that can create a hygge life, and explains how these affect her everyday living. Her book also contains anecdotes and ‘interviews’ with everyday Danish people who explain what hygge means to them and how they achieve it. 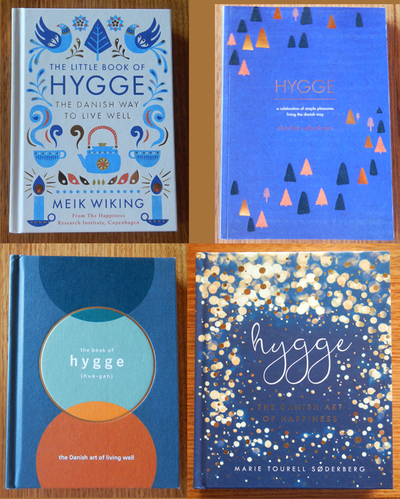 This adds something extra that the books above don’t allow for- it gives readers the chance to understand that hygge really is a Danish phenomenon practiced every day by ordinary people, and that it’s not just a passing fad for them. 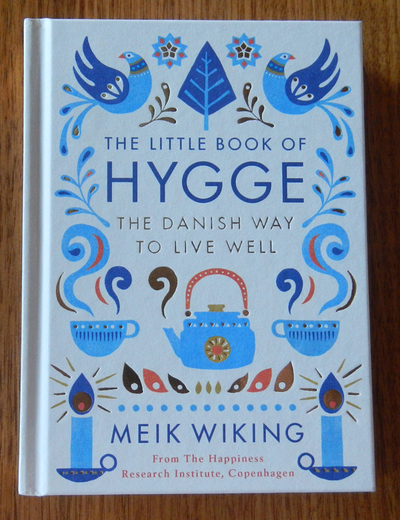 Also featuring pretty photographs of home interiors and happy people, this book is a beautifully presented guide to living a life of hygge.